Perfect for small or medium dogs. These cotton sisal rope footballs very durable for hours of play. A perfect combination of simplicity and fun, Perfect tough chewing toy for your pets. 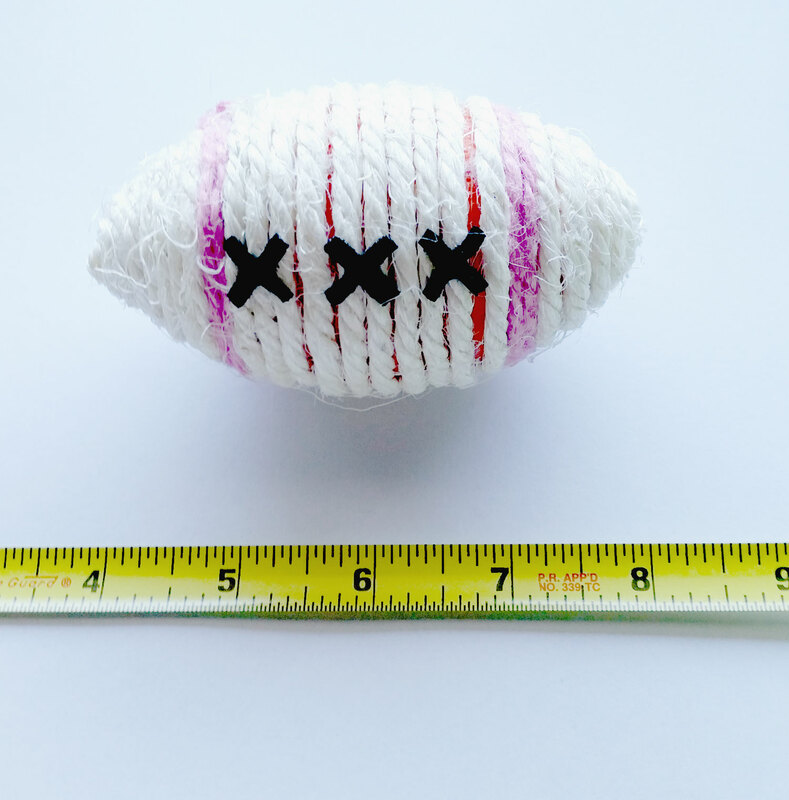 This toy is detailed with red stripes and black x's, lend a captivating charm to the design. This rope is made from top quality, durable cotton and has a tight coiled design to ensure lasting use. High quality natural dyes used for coloring the ropes make this toy ideal for your pet to chew without worrying about toxic substances. Red rubber ball on the inside that is easy to grip onto. Lots of fun! Red Rubber Ball inside wrapped with sisal rope. Perfect tough chewing toy for small dogs, puppies, medium size dogs.